Sunny skies heralded the appearance of a superyacht whose name conjures images of spending warm days under bright-blue heavens. Madsummer slowly slipped out of a floating dock, thanks to guidance from a tug, at one of the facilities at Lürssen earlier today. Unlike most of the German shipyard’s projects, the 312-footer (95-meter) has not been under a full publicity embargo. Lürssen, for example, confirmed the code name Project Fiji at the yacht’s technical launch in late 2017. It also confirmed styling by Eidsgaard Design as well as interior design by Laura Sessa. A bit earlier than that, though, the owner’s representatives at Moran Yacht & Ship revealed details, too. For instance, Robert Moran of the eponymous firm mentioned that the owner had been “a great client” for 15 years at that point. “We’ve built many boats for him before,” Moran added. 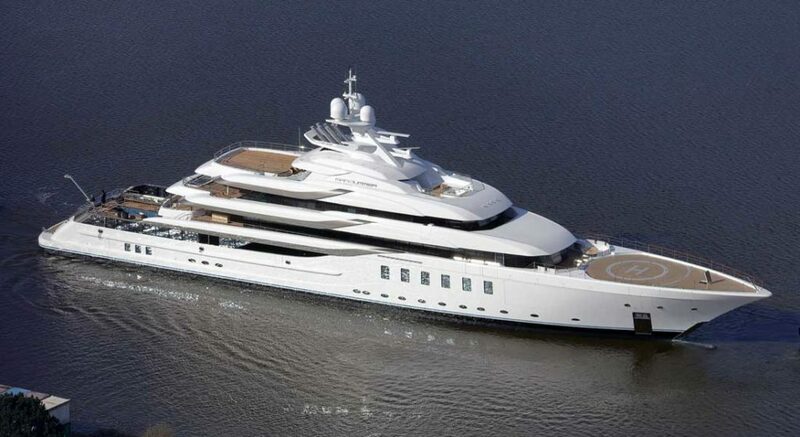 If the yacht’s real name sounds familiar, you may recall a same-named Lürssen. That Madsummer splashed in 2008, coming in at 257 feet (78.4 meters). Interestingly, she, too, bore an island-themed code name: Project Bermuda. Madsummer will begin cruising with parties of 20 in several weeks’ time.